Dr Frank Portelli (Chiropractor) graduated from Sydney College of Chiropractic in 1975, and set up his practice a year later to serve Penrith and Cambridge Park, Jamisontown. The building he relocated to in 2002 was originally occupied by paediatricians for many years. Many of our patients arrive only to realise that they’ve been here previously as children, or have brought their kids into the former offices. We’re here to get you well to the best of our abilities, using our expertise in chiropractic care and living a healthy lifestyle to help you feel great. 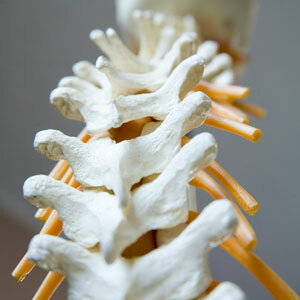 We encourage patients of all ages to seek the benefits of chiropractic care. Often, we’ll start by seeing one member of a family, who tells us about problems that their loved ones are having. We recommend that they have their relative come in with them so we can talk to them about their problems. From seeing babies to adults, we can treat conditions like colic and more complex cases like scoliosis, as well as provide healthcare to expecting mums. We are available for emergency visits with flexible appointments such as Saturday hours. HICAPS, Health Funds, Medicare (GP Referral), DVA, Workers Compensation, and Third Party Injury accredited. Schedule your time today!